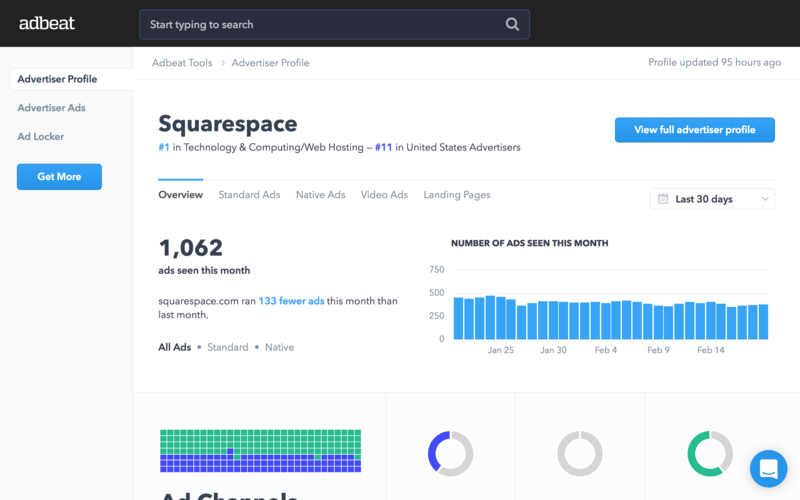 With Adbeat, companies can dig up insights on their competitors' advertising campaigns. Some insights include determining a competitor's most successful publishing locations, ad copy, and landing pages. This data can be a game changer for companies in shaping their own marketing strategies. 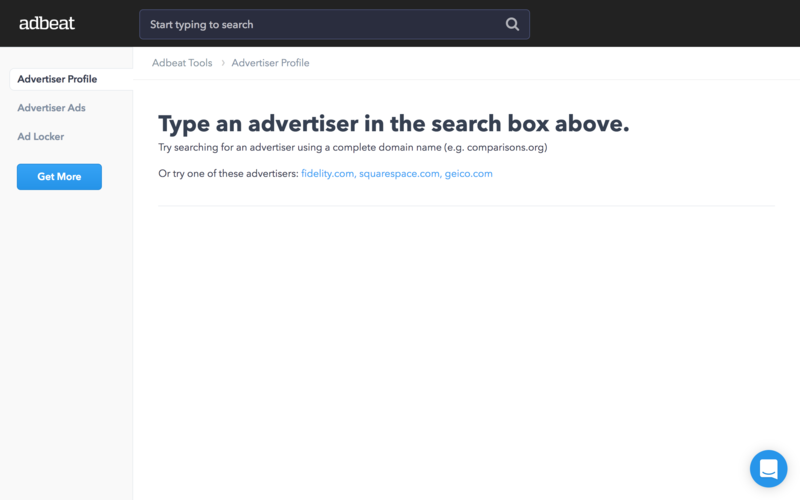 To show new users this value as quickly as possible, Adbeat offers three advertiser examples, so all they have to do is click to access Adbeat's Advertiser Profile dashboard. If new users don't immediately have a website in mind that they want to run through Adbeat's program, they might get stuck and leave the site. Providing a couple of options of notable sites allows new users to simply click on one. This way, they still get a complete picture of what Adbeat can offer. As users hover their mouse over the different graphs in the dashboard, deeper insights pop up with the option to click for more. 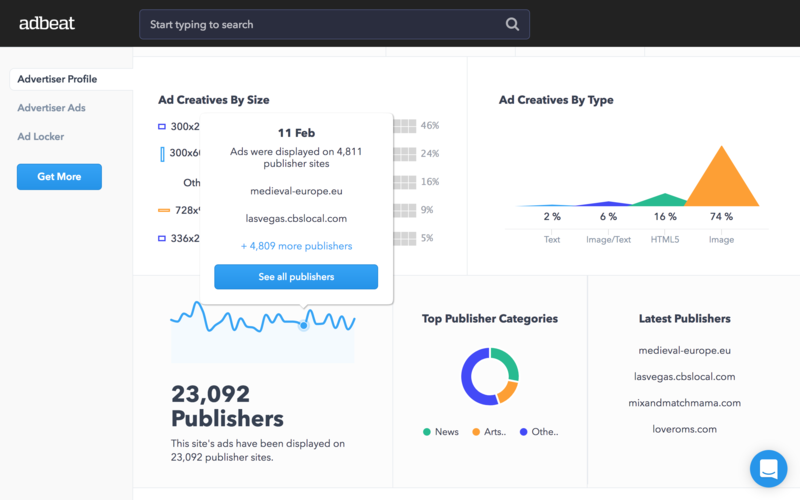 At first glance, Adbeat's UI is organized and clear, but the data immediately available might seem slim. These pop-ups show what else is available within this dashboard.